"...I have noticed better overall eating habits,..."
"Since beginning the program I have noticed better overall eating habits, a better attitude toward workouts and movement, made me aware of some food sensitivities and hormonal imbalances that were affecting my ability to reach my desired weight, lost 5 lbs. " "...I've lost 4kg, my energy skyrocketed..."
"Daniela introduced small habits that were easy to add to my busy daily routine. 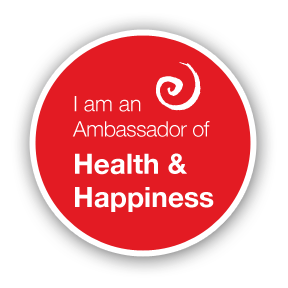 The result – I’ve lost 4 kg, my energy skyrocketed, and I’m eating healthier! " "...I balanced my eating habits, cut down on sweets, lost weight and feel better..."
" The biggest tangible change I have noticed since beginning the program has been my awareness of my eating habits, which I did not even know and learning what a signinficant role plays nutrition in my general state of mind and being. Overall I balanced my eating habits, cut down on sweets, lost weight and feel better. Daniela gave me frequent support at set appointments, encouraging me and bosting my confidence. Daniela is very positive and open, supportive and firm in her advice, very knowledgeable, ready to share her insights and learnings." "...You were clear, insightful and brought to light several concerns I had..."
" Thank you Daniela for providing a reading for my horse Libby. You were clear, insightful and brought to light several concerns I had regarding Libby. Your compassion and genuine care were felt across the ocean. Thank you again for your insights. Truly blessed to have found you and would highly recommend for anyone considering a reading, to contact you. " "...Ultimately, it was a very nice, comforting reading...."
“ My favorite part of the reading was really when you told me that Elsa wanted me to know that she thinks it would be good if I were more like her as far as being calm and mellow. I know that she always sits next to me when my emotions start to rise - now I understand it more. I loved hearing that she seeks out a quiet place for herself to get away from all of the noise, both from my boys and the new puppy. 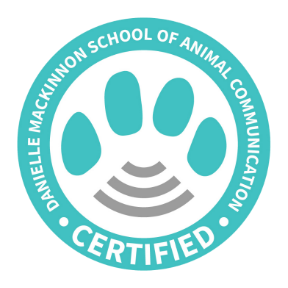 "...Best bit was to receive messages that were totally unexpected...."
“ As an AnimalReiki practitioner, I'm a firm believer in Animal communication & its applications. I had a couple of Animal Communication sessions for Cho, early on in her days of being a foster in our home. Cho was recovering from a hit n run injury, had been an inpatient in a vet clinic for nearly 4 months. For a dog who has lived on the streets all her life, this was very depressing & we as a family were keen to know that Cho wanted to stay indoors with us. We were happy to adopt Cho if she wanted to live with us as her family. We hence decided to go for the Animal communicator confirmation. "Daniela helped me think about what my goals and priorities were..."
"Daniela helped me think about what my goals and priorities were, and how to healthily bring them into motion in my career and in my life, achieve more balance, while keeping my health a priority. " "...If you need more, she'll give more..."
"I would describe Daniela as a very caring, loving health coach with the ability to really listen to what you have to say and give the right advice at the right time to come to your own conclusions. She gives just the right amount of guidance needed for you individually. If you need more, she’ll give more, if not, she’ll give you the space to discover yourself, your own goals and achievements." " I think that Daniela has everything is required of a good health coach: a genuine desire to empower and better the lives of her clients, a great deal of gentleness and the ability to hold your space, and a structure and organized approach that will shortcut you towards success. In less than one year working together, Daniela has become much more than my coach, but a true friend. Our meeting always offer me guidance and motivation, plus a safe space to formulate and explore my objectives. Highly recommended! " "...if anyone wants to feel closer to your pet .. Do it!!!" "...the readings were amazing in many ways, making me understand my dog..."
"I had 2 readings with Daniela— they were enriching and eye opening! My favorite part was when she was describing my dog’s behavior at the questions in the session — I could just see him! — it was exactly how he is :). My biggest surprise was the simplicity of the reading session in which some key points came out clear for me. One main one was why my dog has a different style of interaction with each family member, how he gives the message of love to each one of us exactly how we need to receive it - amazing! All in all the readings were amazing in many ways, making me understand my dog and his role in our family at a much deeper level— I realized he is more than a pet in our family, but a true member of the family."